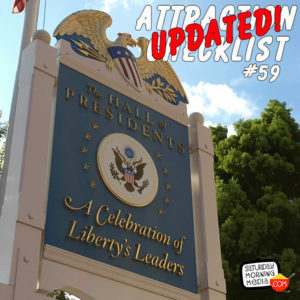 http://www.attractionchecklist.com – Just in time for Election Day, let’s revisit The Hall of Presidents and check out the 2017 update featuring the addition of our current president. Recorded on March 21, 2018. Episode edited by Stephen Staver.